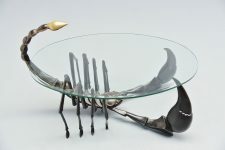 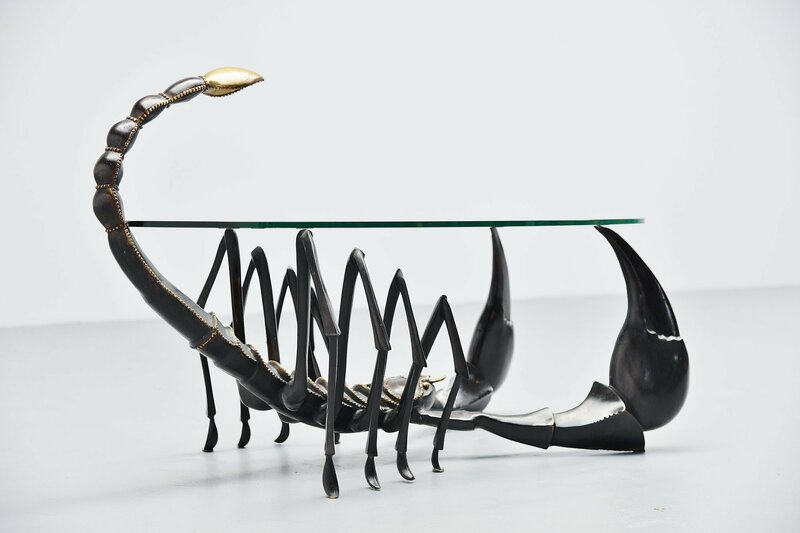 Very nice bronze crafted scorpion shaped coffee table designed by Jacques Duval Brasseur, France 1970. 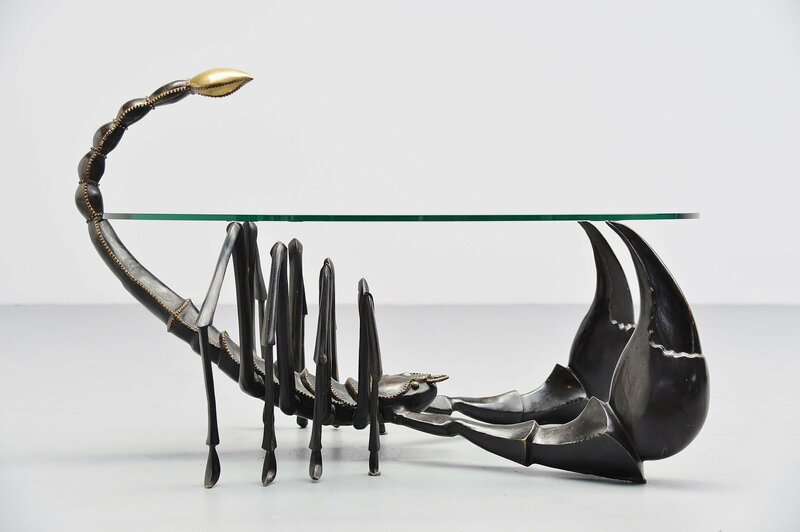 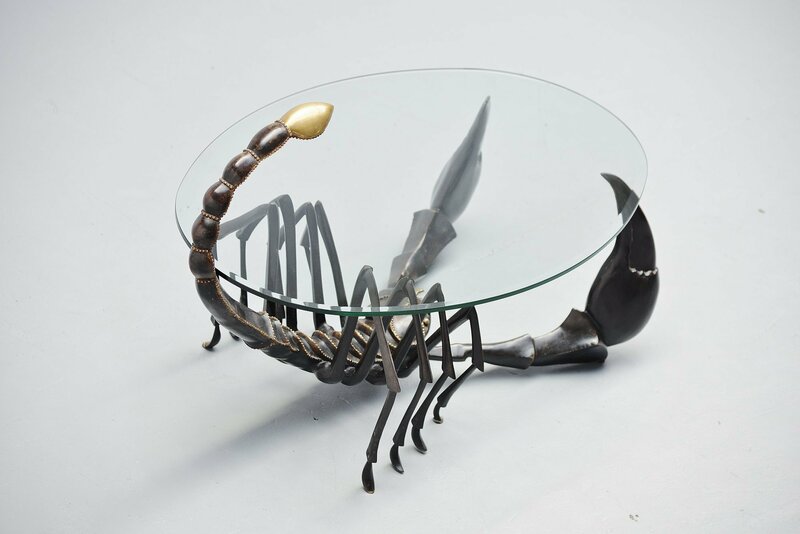 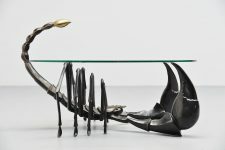 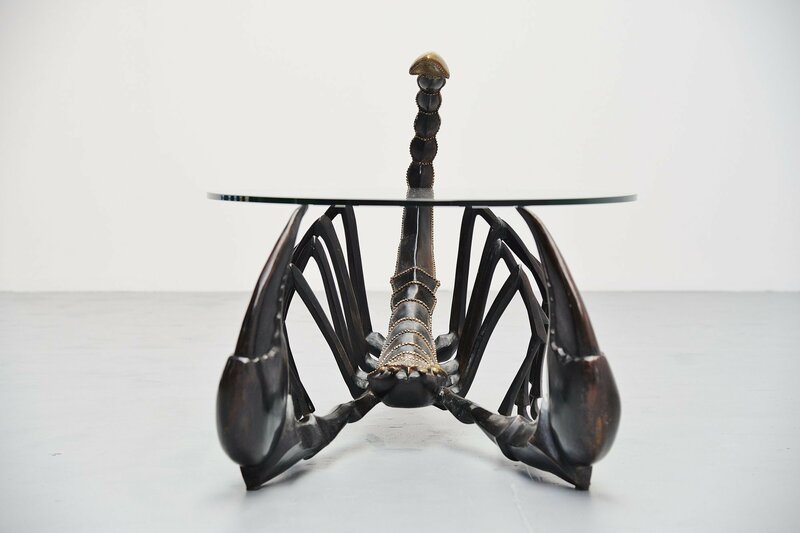 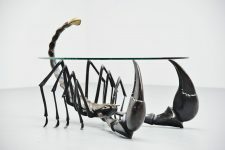 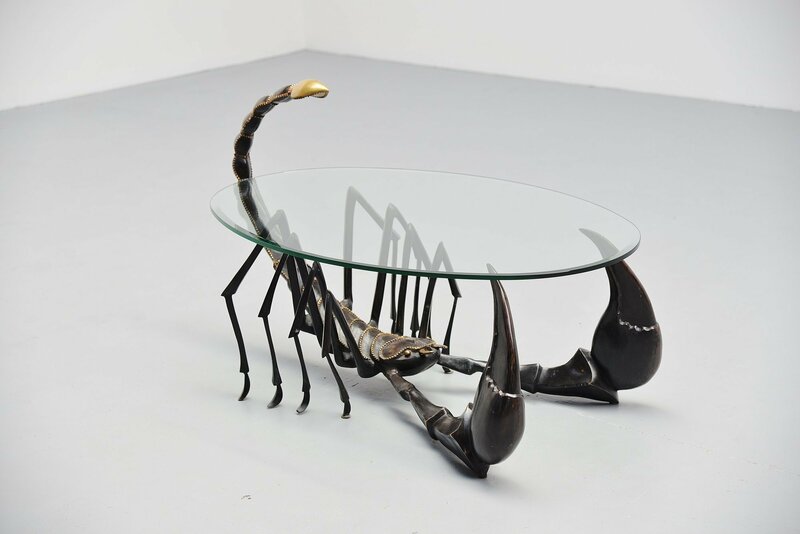 This table in the shape of a scorpion was made of black patinated bronze and has bronze details. 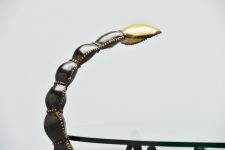 It is very heavy and has a thick oval hardend glass top. 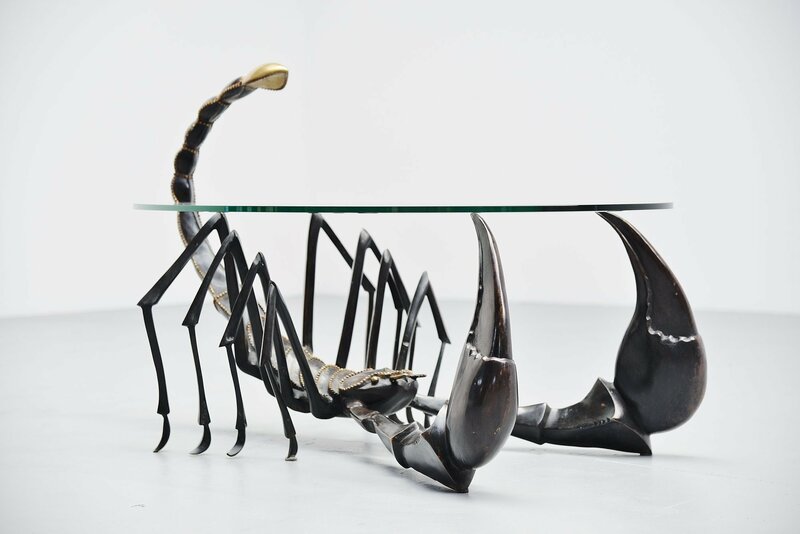 Super decorative table, a bit scary maybe but still, a spectacular example from Brasseur that will get you a lot of response for sure.